Who doesn’t love a small town festival? Especially one like Blue Plum Preserves? “Preserving and Celebrating Blue Plum’s Past” is the annual theme. Talk about right up my alley. This year’s festival will be my first, and I am totally looking forward to it. The Historical Society is selling old-fashioned, fresh-squeezed lemonade and offering guided walking tours of our historic downtown. The Farm and Home is having a “petting zoo” of antique farm machinery. The volunteer fire department is challenging the Sheriff’s department to a rope pull, using hoses, across the creek in the park. And the parks department is turning the courthouse steps into a sound stage for blue grass and old time fiddle music. People are dressing in period clothing, there’ll be a reenactment of a livestock feud (complete with piglets!) and the churches are serving chicken dinners on their lawns. For the Weaver’s Cat, we’re setting up a demonstration tent in the parking lot across the street. 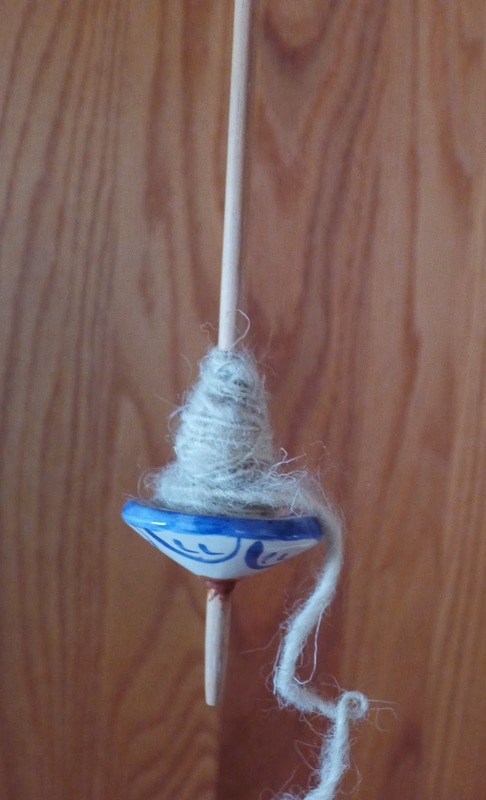 We’ve got a full roster of spinners who know how to use spindles and wheels, of different types and sizes, and are experts at spinning a variety of animal and vegetable fibers, from wool to flax, including silk and large, fluffy dog. Dog? Yes, indeed. We’ll also have wheels available for visitors to try, and kids can make their own drop spindles out of potatoes and pencils. So who doesn’t love Blue Plum Preserves? Ardis Buchanan, longtime manager of the Weaver’s Cat and my good friend. Hearing her moaning (not unlike a certain ghost I know,) surprised the heck out of me, and I asked her what was up. Ah, that was the real reason she was feeling blue. Ardis and Ivy, my beloved Granny, had worked side-by-side at the Weaver’s Cat for more than two dozen years. Blue Plum Preserves had been Granny’s brainchild, and together they’d perfected running both the shop and the demonstration tent during the incredibly busy weekend the successful event had turned into. Ah, Reva Louise. She knows everything but boundaries. And she wanted to insert herself into our happy demonstration tent. Thank goodness for Ardis. I asked her if Reva Louise got angry when she’d told her no. Swell. What if Reva Louise does get angry? Contrary to what a certain sheriff’s deputy thinks, confrontation is not my thing. So how would you handle this situation? Gently? Firmly? In person, or would you weasel out and do it with an email? Rats, now I’m not so sure I am looking forward to the Blue Plum Preserves. Kath Rutledge appears next in SPINNING IN HER GRAVE, available March 4th (and available, now, for pre-order.) 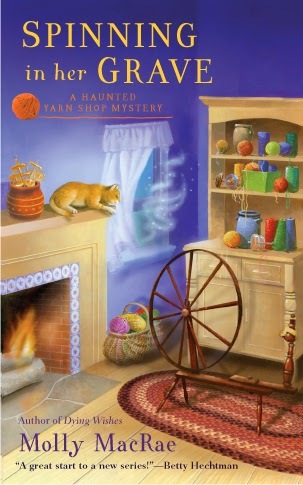 The award-winning Haunted Yarn Shop Mysteries are available in mass market, e-book, and audio wherever books are sold. Reva Louise with a microphone - disaster! Good tip, Willow. Thanks! Give her the "Bum's Rush". Ardis and Kath can greet her and thank her for coming and say "see you again soon"! all in one sentence. Good plan, Cathleen! Reva Louise can be hard to get rid of, but a united front and a firm shove could do the trick.